After a fun video introduction by the director, Colin Hardy, the 2nd opening night feature, The Hallow for the Toronto After Dark Film Festival at the Scotiabank Theater. Leaving the bustle of London behind, Adam (Joseph Mawle), Claire (Bojana Novakovic) and their infant son move to a remote cabin in the Irish countryside, enclosed by untouched trees being marked for the forestry industry. Despite the warnings of the locals to stay away from the woods, speaking of being trespassed upon, Adam ventures into it, cataloguing, making notes, and walking with his dog. It’s here that he makes the first discovery that hints at what the Hallow actually are… Irish creatures from folklore, but now grounded in a bit more of a ‘scientific’ explanation. Adam discovers a weird growth on an animal corpse in the woods, and studying it, hints at what is really going on, but it’s never gone into in-depth. 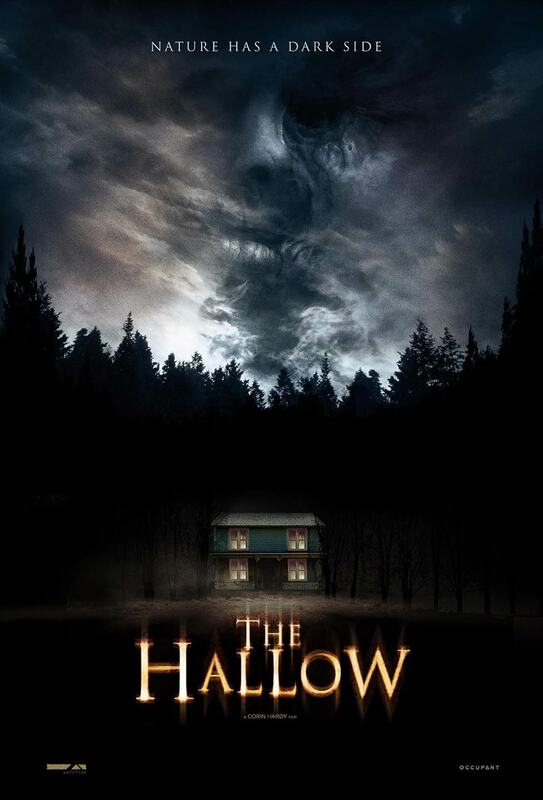 Instead, strange things begin to happen around the house as the Hallow begin to make their presence felt. This I loved – they incorporated the ideas of Celtic legends of banshees, changelings and the like, bringing them into the modern age, and as such, when they are trespassed upon, the family finds themselves quickly under assault from these strange forces. And just like the legends say, they fear iron and fire/light. Once we get even the briefest reveal of the creatures, during an unnerving car break down in the woods, the film kicks into all-out creature feature. While there were some good moments, that caused those around me to jump, perhaps I’ve become too jaded, as I knew what had to happen in each shot, as the story unfurled. Which isn’t to say it wasn’t enjoyable, it’s a fairly solid film with good performances in a truly moody location, surrounded by the gorgeous vistas of the Irish countryside. 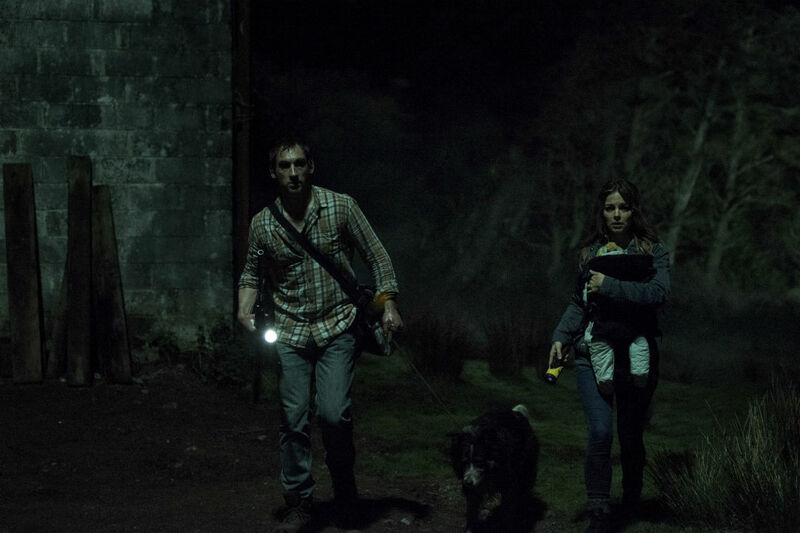 I do like the fact that it didn’t feel it had to completely show the Hallow as they stalk Adam and Claire, glimpses of them through camera flashes, or the tail lights of the car does more to set the mood and make for a scary moment than a complete reveal. It’s that idea that your imagination fills in what you don’t see. I do love the animatronics and make-up effects at work in the film, and tying it all in with Adam’s discovery works nicely (though perhaps not as fully expounded upon as it could be). As the final night unfurls, the family find themselves under full assault, with trouble brewing within and outside the house. Will they survive until dawn, and the return of the sun, and if they do, will they be the same as they were before the sun went down? This one is being hailed as a scary creature feature, and consequently, tickets sold out so fast for this screening that they had to add another one for tomorrow night, which has also already sold out! If you want to, try and rush it at Scotiabank, as there may end up being last-minute tickets available. What are you seeing After Dark?